Whether you want to start an emergency fund, fast-track student loan repayment or just put some extra cash in your pocket, there are plenty of ways to make money online from home in Canada. If you’re a student, working professional, stay at home parent or anything in between, there are earning opportunities available to you. Through your skills, experiences, hard work or time, you can make money from home to help reach your financial goals. The 60+ different platforms, apps and ideas below vary in revenue potential, specific expertise needed and overall time commitment. There is one consistent theme throughout though: you can make money online from home in Canada. First on the list, is starting your own online business. Some of the examples below will ladder up into this concept while others will be more of the one-off types of money making opportunities. Keep that scalability mindset as a priority while you continue to generate income from home. Here are some great online courses from Udemy that might help spark a business idea or teach you the new skills necessary. What do you enjoy? Are there specific skills or experience you would deem strengths? How can you make money with those? Try to find a way to weave that into a work at home side hustle business. One of the easiest ways to make money online from home with the least barriers to entry is taking online surveys. You’re essentially sharing your opinion with research companies in exchange for cash. Once you’re ready to get paid you can get your money via cheque, PayPal or Amazon gift cards. Each of these websites are free to join. You won’t get rich quick but you can easily earn a couple hundred per month by completing surveys in your spare time from your phone or computer. Swagbucks: Swagbucks gives members 9+ ways to earn cash online including paid surveys. They also offer a FREE $5 welcome bonus to new user after signing up. Register today and get started with Swagbucks surveys. Pinecone Research: Pinecone Research is one of the most popular survey sites for Canadians. They offer $3 per survey and those generally take 10-15 minutes to complete ($12 – $18 per hour). Survey Junkie: Survey Junkie is another paid survey platform that offers the highest volume of surveys. There is always opportunities online and available to get paid for sharing your opinion. It’s free to join and you’ll be eligible to start earning right away. DailyRewards: DailyRewards is the Canadian counterpart to the popular USA site InboxDollars. DailyRewards gives members a variety of ways to earn cash on their platform including paid surveys. Best of all they offer a FREE $5 bonus to new registrations. Survey Rewardz: Last but not least is SurveyRewardz. They offer payouts of up to $10 per survey depending on the content and length. Related Post: Want to learn more about Pinecone Research? Read this full Pinecone Research review. If you have a knack for writing and an ability to showcase your expertise or unique opinion on a topic in words, freelance writing is a great way to make money online from home. There are a variety of platforms available to source work and start getting paid. Upwork: Upwork is a global freelancing platform full of writing opportunities. ProBlogger: ProBlogger features a job board with writing opportunities for blogs in various viches. Boost Media: Boost Media is another global service that connects writers (like you) with clients. Fiverr: Fiverr is the largest online freelance platform and features a wide range in pay scale for freelancing writing work. The borderless digital world has opened the door to a whole new work at home job: the virtual assistant. The range of work being performed really varies on the people you’d be working with. This could be managing emails and social media feeds for a larger scale company or doing outreach on behalf of an entrepreneur. The opportunities are endless and this type of position is only going to become more in demand and lucrative in the future. If you shop online from home, you’re leaving free money on the table if you aren’t using a cash back service. These payouts generally range from 4% – 50% depending on the product and total price of what you’re buying. The companies earn a commission for referring your sale to the retailer (at no extra charge to you) and kick back a portion of that to you. Ebates: Ebates has affiliations with almost every major retailer (2,500+ stores and counting) including Amazon, eBay, Indigo, GroupOn, Expedia, etc. Plus you can get $5 for FREE when you register with Ebates Canada today. BeFrugal: BeFrugal is another cash back platform to help you earn free money back on your online shopping purchases. BeFrugal has relationships with over 5,000 retailers and you can receive a FREE $10 welcome bonus and start earning cash back. Great Canadian Rebates: Great Canadian Rebates is another cashback site for those of us North of the border. They have relationships with over 500 merchants including all the big names you’d expect like Amazon, eBay, Expedia and so on. Sign up today and starting earn free cash back. You’re just following your normal spending habits but making free cash back. It won’t make you rich but you’re leaving free money on the table if you aren’t taking advantage. With access to a computer and a decent understanding of Excel (or other database management tools), you have the ability to secure data entry work. The duties performed might included update customer information, inputting sales or digital traffic results and financial tracking details. More and more companies are turning to remote data support giving you another opportunity to make money online from home. If you’re skilled in photo editing, video editing or graphic design you can make money from home in Canada. Depending on the size and scale of the work required, the profit potential is huge. If you have free time on the couch or computer when getting some well deserved R&R, you can make money watching videos. Yes, just for watching videos. Swagbucks: One of the 9+ ways to make money online with Swagbucks is by watching videos. That’s it! Plus you can get the free $5 welcome bonus after signing up. DailyRewards: DailyRewards is a similar service to Swagbucks as they offer multiple ways to generate free cash, including videos. And just like Swagbucks, there is a free $5 registration bonus. You sell it, we ship it. Amazon has one of the most advanced fulfillment networks in the world. With Fulfillment by Amazon (FBA), you store your products in Amazon’s fulfillment centers, and we pick, pack, ship, and provide customer service for these products. FBA can help you scale your business and reach more customers. Thousands of people are making serious money online from home with FBA. It can be a confusing concept but this step-by-step guide on how to start an Amazon FBA private label business will fill you in. Another opportunity to make some quick cash on the money you’re already spending is with Checkout 51. Checkout 51 is an app that rewards you with cash back on your grocery and household items purchases. The app is free and there are new offers published every week. The cash back ranges from $1 – $10+ depending on the product purchased. You just need to upload a photo of your receipt after you get back home. Once you’ve generated $20 in total rewards, you can cash out a cheque to be sent directly to your home. You can also get $5 free as a welcome bonus for being a new member of Checkout 51. Share your expertise and knowledge in a given subject by building out an online course. The marketplace for online courses continue to provide accessible opportunities to sell them through great platforms like Udemy, Skillshare, Teachable and others. The format for delivering your course matter is flexible too. Whether you feel more comfortable on video or creating written lessons with slides, there are plenty of ways to make money from home with courses. There are even courses online on how to design and prepare courses. What if you could make money from home watching and hanging out with dogs? Rover lets you do just that. Locals in your city are looking for trusted pet sitters to watch their pets and best of all, willing to pay for it. It might be for a few hours in the evening or extended stays over a weekend. Rover connects you with locals that are highly motivated to find a trustworthy sitter. Earning $500+ monthly just from weekend dog sitting isn’t out of the question. Have you done a audit of all the “stuff” you’re storing around your place lately? How much of that “stuff” continues to bring value to your life? Most of us tend to naturally hold onto things and if not truly essential to everyday life they end up under the bed, storage units, closets, shelves, etc. Turn that clutter to cash with only minimal work needed on your end. Organize the different items you deem unnecessary, clean them up, take some photos and get them listed for sale. There are plenty of other platforms like eBay, Craiglist and Amazon to turn that clutter to cash from home. Paribus is a free service that can make you money by saving you money through price monitoring your recent purchases. Most stores offer a price match within a specific time period should they drop the price of an item you bought. However, tracking and keeping up to date on that can be difficult. That’s where Paribus comes in. To date they’ve helped members save over $15 million. You can sign up today for free and let Paribus go to work for you on making (saving) you money. If you have an online presence or audience, whether it’s a blog, podcast, social media, online communities, forums, etc., there’s an opportunity to generate revenue by recommended relevant products and services. Almost any niche has dozens, if not hundreds, of potential affiliate companies waiting to pay you to make referrals. Travel, video games, health, finances, cooking, parenting, sports and so on. No matter what your hobby, expertise or interests are, there are affiliates available. Affiliate networks like the ones listed below help connect you to these companies. After approved you get a unique link that tracks the activity you send back to their products and services. If you refer a sale, you get paid a commission. Decluttr connects you with potential buyers all over the Internet and help you turn those excess electronics, dvds and collectibles to quick cash. They have a free instant valuation tool that quickly analyzes your items to ensure you’re listing it for as much as possible. No auctions, no fees and an easy to use app (or web) platform. Plus you can access free to shipping, insurance coverage on your items and get paid directly via direct deposit, PayPal or check. Register for free and get started today with Decluttr. CafePress is a print-on-demand service so there’s no overhead or physical goods needed to start your clothing empire. If you’re witty, quick and socially savvy to promote it, the sky’s the limit with CafePress. Try to take advantage of “viral” moments in pop culture and world. If you’re one of the first to market to sell the product, you can make some serious money from home. If you fancy yourself a photographer, you can make money selling photos to a stock image website. You know all those images bloggers, new publications and content creators use on their websites? The majority of those are stock images sold to aggregator websites that are then purchased by those writers and creators to feature in their publication. You can turn your photos to cash by selling the rights to these aggregators. There are dozens of others with a quick Google search depending on the type of photos you’re looking to sell. VIPKID is an online video chat platform that teaches English to students in China. VIPKID pays $14 – $22 per hour. The hours are flexible around your schedule, the work is location independent and the outcome is both financially and intrinsically rewarding. You teach 25 minute lessons that require minimal prep or post work. One year experience with youth – this can be VERY flexible teaching, coaching, Sunday school, scout leader, tutoring, swimming lessons, etc. After applying and getting accepted you will receive some onboarding from an existing teacher. From the editorials I’ve read, it’s quick and easy to get the hang of things plus find ways to earn more through the platform. If you meet the criteria, give VIPKID and start making money from home. A work from home opportunity that is becoming increasingly popular is becoming a Facebook ads manager. What does this entail? Setting up, managing and optimizing Facebook ads for other businesses. These could be small businesses in your local area like dentists, lawyers, restaurants, doctors and so forth. Companies from industries like this need customers and are willing to pay to secure them. It’s not as difficult as it seems and you don’t need to be a digital marketing genius or tech wizard to get started. Laptop Empires, a company formed by Bobby Hoyt and Mike Yanda, have launched a popular, affordable and effective course outlining everything you need to know. There are thousands of success stories from people launching Etsy stores to create a serious revenue stream. So what can you offer to the marketplace? DIY crafts, clothes, household items, beauty products, woodwork, artwork, board gamesand dozens of other categories. The website and system is developed to make ecommerce accessible and easy to manage for all involved. You just need to focus on the production and promotion of your products, let Etsy handle all the backend details. Start big or start small, just get started if you’ve got something unique to offer. If you’re proficient in English and possess reading, writing and oral comprehension of another language, translation services will pay for your support. Best of all you can do it from the comforts of you own home. Verbling: Verbling is an online language-learning platform that connects prospective learners with qualified teachers. The teaching sessions are done online through video chat. Your earning expectation with Verbling falls in the range of $14 – $25 per hour. Unbabel: Unbabel offers translation jobs for 28 different languages, so if you’re bilingual you should find a fit. The more experience you get and faster you complete your translation tasks, the higher your rate will be. You can work remotely as well through the Unbabel mobile app. Depending on the type of work being translated, you can earn even more by doing this directly with clients as opposed to a service directory like the two above. This one definitely won’t be an option for everybody. However, there are people making well over six figures by streaming themselves playing video games on Twitch. eSports and gaming have blown up over the last 5 years becoming a money making opportunity for those with talent and personality. Fortnite, Counter Strike, League of Legends, Madden, etc., no matter what game it is, there is an audience tuning in online to watch people play. These streamers make money from sponsorships and donations from fans. If you’ve got some gaming skills and think you can entertain an audience, check out Twitch. One of the ways to make money online from home in Canada we noted above was by completing paid surveys. Well, there are even more platforms for you to share your opinion and earn cash for doing so. iSAY Ipsos Survey Panel: iSAY is a big survey panel company, owned by Ipsos, providing Canadians the opportunity to share their opinion for money. Harris Poll Online: Harris Poll Online Canada has over 50 years in the business and is among the world’s oldest online market research companies. It’s 100% free to join and you’ll be able to make money by sharing your opinion on products, services, government and other topics. Transcribing standalone audio files or the audio from videos is another money making opportunity at home for Canadians. Businesses need to keep their finances, customer information and records up to date. Given the scope of work for most record keeping is transitioning to be almost entirely digital, you can perform these types of duties from home. With a computer, phone and mindset for organization, you can earn cash as a bookkeeper from the comforts of your desk. To learn more, check out this FREE bookkeeping course that has trained over 3,700 people. You don’t need a DSLR camera to make money by selling your photos. Smartphones are more powerful than ever and those amazing photos you’re snapping can be turned to cash. It’s never been easier to start investing online from home thanks to the growth in FinTech. In a matter of minutes you can get your money working for you to build wealth. Investing in the markets through index funds (or individual blue chip stocks) can be done through the click of a mouse or tap on the phone. You can generate long-term returns as the markets rise (read more on investing for beginners) or through dividend paying funds and stocks. Honey is a great digital rewards platform that searches the internet for the best deals and coupons from their list of over 3,700 partner stores. They do all the work for you and make sure you’ll never miss a coupon or chance to save money. You can download the free Honey App and install it into your browser (Chrome, Safari, Firefox) to get alerted whenever there is a coupon available for the website you’re visiting. This one is going to require some patience, problem solving skills, computer, phone and patience (…did I mention that already). We’ve all been on the other side of the phone calling one of our utilities, subscriptions or service providers to inquire about a bill, technical issue or new promotion. Well you can make money being on that other end of that call as a customer service representative. These types of jobs will be listed on all job directories like Indeed, Monster, FlexJobs and so on. The complex AI and algorithms behind search engines are smart, very smart, but they need support from real people. Companies like The Smart Crowd hire people like you on behalf of the search engines to fix the errors. Their goal is to improve the results that search engines are providing members and your role is to help ensure that happens. Similar to writing, transcribing and translating, you can earn cash online through your proofreading and editing skills. If you have a keen eye for detail and writing comprehension you can succeed in this area. Head over to Caitlin Pyle’s Proofread Anywhere and learn how you can start to make money online from home as a proofreader. There are ways to make money online from home as a Canadian no matter what skills or experience you possess. Whether it’s through your expertise or just sheer hustle, with time and a commitment can come serious earning potential. It could equate to some extra cash to support your financial goals each month or develop into a life-changing wealth builder. New opportunities to make money online will continue to emerge as trends and platforms shift. What ways do you make money online from home? How are you earning extra cash to support your financial goals? Whether you have your own blog or website it can be astonishingly easy to make money online, so much so, you don’t necessarily need either. Listed below are excellent ideas to make money online, for a full-time income or just to give you a little extra money each month. 4. Write books, articles or instructions/courses – if you have story ideas, a skill that you can teach others or want to provide advice on a specific subject, why not write your own material. If you can tell someone or demonstrate something it is possible to turn this into an eBook, upload onto a marketplace and sell this to others. 5. Create YouTube video tutorials – similarly, instead of getting this in writing, why not record yourself, a presentation or screen capture video, upload onto YouTube and advertise your skills. Placing advertisements alongside this can generate a tidy income. Also advertising your own website or blog, eBook or products for sale. 6. Sell your own photographs – everyone today has a digital camera and there are many superb photographs taken every day. It was recently reported that there have been more photographs taken this year since then ever before. Everyone takes selfies, spontaneous photographs as well as those who do this for a living. Get your photographs uploaded to a stock photography site and earn an income every time someone buys one. 7. Affiliate marketing – this involves you advertising for sale other peoples’ products and, on making a sale, receiving a commission for that sale from the owner of the product. This can involve the creation of a website and advertising on this or creating advertisements, placing these on others’ websites to generate interest and hopefully a sale. 8. Create and sell unique items – jewellery for example. Other items include paintings, furniture, clothing, ornaments and so on. Once created, advertised on your own or others’ online shops for sale and generate an income. These can also be uploaded for sale on eBay, Amazon and other similar marketplaces. 9. Teach online – if you have a skill, specific expertise in a subject or have a hobby at which you excel, why not create a website offering hints, tips and advice. You can then go on to sell tutorials in eBook, video or audio formats. 10. 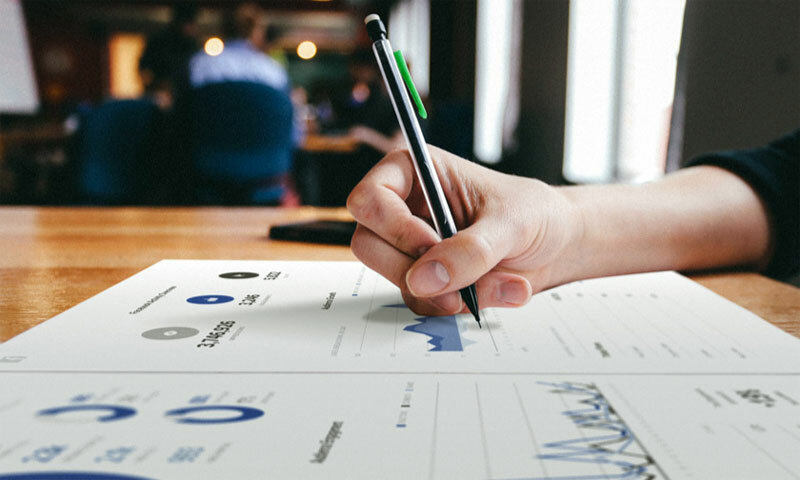 Market research – there are numerous companies who pay website visitors to review products, websites and information sites and provide feedback and comments. This is then used by that company to advise their clients, make improvements or select specific products which perform well. payments from these companies vary from discount vouchers, point collection and turn this into cash or free products in return. Elder Patriot – Mark Zuckerberg is using the same defense as Barack Obama and Hillary Clinton used to rely on whenever they faced a crisis of their own making. He is contending that he only learned of the massive data breach when you did, and only through the media. Don’t be gullible. So far the only things we know he is serious about are – weaponing Facebook against patriots, libertarians, and conservatives by censoring them, and, making sure he protects as much of his wealth as possible. In September of 2017 Mark Zuckerberg announced his intention to sell 75 million shares that had, at that time, a share price of $170. That’s a cool $12.7 billion. Since the announcement that Cambridge Analytica breached the data of 50 million users – that’s since been increased to 87 million users – the stock has taken a 10% hit. It’s going to get worse, a lot worse and Zuckerberg certainly knows this. The question is when did he know it? According to David Barda, an attorney expert in protecting the rights of those whose personal data has been breached, this can bankrupt Facebook. Barda says it’s likely that each user would receive a maximum of $700. While that might not make every user whose data was breached whole, it works out to $61 billion enough to put a very serious hit on the value of Facebook… and to Zuckerberg’s stock. This is just the tip of the iceberg. We have since learned that Facebook willingly stood aside while the Obama campaign was allowed to harvest every user’s personal data in 2012. You have to naive to think that even this was the extent of Facebook’s violations. Facebook achieved a total valuation approaching half a trillion dollars without charging their consumers a penny. They were selling something. And they were compiling massive personal profiles on each user to increase the value of that data. There’s a lot that will be discovered about Mark Zuckerberg and Facebook Chief Operating Officer Sheryl Sandberg’s nefarious use of the platform that violated the confidence that the public placed in them. Buckle up. There’s a lot brewing in the law offices representing damaged users, and at the DOJ, that Zuckerberg would rather you not know about. Expect Congress to ask Zuck why he decided to dump his stock when he appears before it next week. Also, expect Sandberg to come under a lot more scrutiny as her role in promoting Hillary Clinton’s campaign (Sandberg had been prominently mentioned to become Clinton’s treasury secretary) – and possibly her own 2020 candidacy – becomes more widely understood. *UPDATE: The Inquisitor has published this article which attempts to debunk “Rumors fly around social media about Facebook paying users $17,500 each for lawsuit damages for Cambridge Analytica data breach.” Please note our report does not claim Facebook has agreed to the payment, rather that UK laws could make them liable for these damages. Doing a content audit on your blog archives is useful for optimizing your marketing, SEO and traffic. But, how we can we do one without getting head deep into spreadsheets? The post How To Do A Blog Content Audit (Without Nasty Spreadsheets). My Custom System For Managing Content In WordPress. appeared first on Blog Marketing Academy. The post 5 Elements for the Ultimate Affiliate Tools Page appeared first on ClickBank. I think, You’ll agree with me when I say: Making money online is hard. You’ll come across fraudsters asking for registration fees & surveys/PTC sites which never pay you. But if you know the right ways, you can start earning more than what you think. There are hundreds of ways to make money online. In this article we will see the genuine top 3- ways which helped me to generate multiple streams of income and with these methods even a beginner can start earning this week. Some of these methods need some professional skills and experience to give quality work to clients. But, there are very few ways which can help you to make money online even if you don’t have any experience. I have seen many beginners are earning $1200 – $16500+ with these methods. One of the best answer for how to make money online fast is affiliate marketing. Many people across the globe are making money online by promoting others product and earning BIG MONEY in terms of commission. Companies like Amazon, Clickbank, Jvzoo , Flipkart, Four Percent Group and more who sell products and services such as shirts, shoes, domains, watches, web-hosting spaces and many more, usually offer an affiliate program. You could make money by referring people to their sites if that person buy anything you receives commission. This way of making money online is called affiliate marketing. Commission that companies pay you as an affiliate may be vary. Some pays 2%-15% commissions on cost of product. But it’s really difficult to make big amount of money with these companies because the commission is low. Very few companies on internet who pay Big Commissions from 25% to 50% to their affiliates. Hundreds of companies on internet who offer affiliate programs. But not everyone is reliable and going to pay you big commissions. You have to join the right company to start making passive income online. These companies have one of the best affiliate marketing programs. And millions of people from all over the globe are making really big amount of money with these companies. If you have some experience about affiliate marketing i.e. How to build high converting landing pages? How to set up perfect sales funnel to get maximum conversion. How to get free traffic to your affiliate links? How to track every click to your affiliate link? etc then you can join any of the above company. But if you are beginner and don’t have enough experience in affiliate marketing then Four Percent Group is Great Opportunity to learn and earn fast. Four Percent Group is providing World’s Simplest and Most Powerful Step By Step Video Guide for Beginners. It’s Completely Done System to Make Money Online. They pay 40% to 75% Commissions to their Affiliates. With this system thousands of Beginners are earning $2250 to $4250 per week. Click Here to Learn the “SECRETS” of Affiliate Marketing and Start Earning Extra $16500 Per Month! If you want to earn immediately, you only have a few options available online. Online writing is the best option to start earning online immediately just with $1. Many popular methods like writing a blog takes a long time to earn good income. You can start earning today! CLICK HERE TO READ MORE AND START MAKING MONEY THIS WEEK FROM ONLINE WRITING! Welcome to our Best Private Proxy Providers list, Start protecting yourself and your business! Whether you’re a social media marketer, a torrent user or you’re looking to check SEO rankings in bulk, you’ve likely heard of proxies and VPNs (virtual private networks). Proxies are becoming more popular due to censorship and other restrictions around the world, and they can unleash the internet’s full potential no matter where you are. Here, you’ll learn what a private proxy is and what it does, and you’ll also get my recommendations on the best private proxies. Private Proxies: What Are They, and What Do They Do? In most cases, proxies are simply known as a ‘proxy’ and not a private proxy. However, the difference is important, as many of today’s proxies aren’t private at all. When you’re choosing a proxy, you have two options: a free proxy or one that’s paid and private. Free proxies are useful if you simply want to make a fast change to your IP address, but they do have a price: the surrender of your private data. A free proxy is usually very slow, which can adversely affect your torrenting and browsing experiences. Private proxies from the best private proxies service providers have numerous benefits. They can help individuals protect their health information, and business owners can use them to protect proprietary IP (intellectual property). Internet browsing is made much more secure, and you’ll use less resources every time you get online. Business administration infrastructure is greatly simplified, and proxies can help owners keep malicious software out. Everyone’s online these days, and it’s more important than ever to protect companies’ sensitive information. Use private proxies for the reasons listed here, and get the benefits of secure web browsing. There are many reasons to use private proxies for search engine optimization, and all are important. Proxies allow companies to spy on competitors without disclosing their identities, and they allow business owners to access various social media accounts from a single IP without running afoul of a site’s terms of service. A proxy is a powerful backlink building tool as well. Google and the other search engines pay careful attention to how these links are built, and if you use a proxy to build them, you can manage to fly under the search engine’s radar. What are the Best Private Proxies? Certain things define the best private proxies. Users like you typically look for fast speeds and reliability, which you’re more likely to find in a paid proxy than in a free one. In the sections below, I’ll give you some information on the best private proxy service providers I’ve found so far. Instant activation when you buy with a MyPrivateProxy coupon. You’ll get an activation email with all the info you’ll need to start using your private proxies. With all these benefits, it’s easy to see why MyPrivateProxy is one of the best private proxies out there. We hope this MyPrivateProxy review has been helpful. In this buyproxies.org review, you’ll learn why BuyProxies is one of the best choices if you’re looking for cheap private proxy services for SEO. You’ll get the benefits of unlimited bandwidth, hundreds of locations, and the ability to read proxies in .txt format directly from a script. All proxies are new, and you’ll get a list of anonymous cheap private proxies every 30 days. The support system is great and it’s always on, and the Chrome and Firefox plugins you get from buyproxies.org will speed up every one of your tasks. All anonymous proxies run on environmentally-friendly servers, and they come with user/pass and IP whitelisting. Save even more by using a buyproxies.org coupon today to take advantage of the best private proxy services. In this yourprivateproxy review, you’ll learn why this is one of the best private proxies on the market. Your Private Proxy offers month-to-month services, with absolutely no contracts or long-term obligations. While the only accepted payment method is PayPal, that may change soon. Save by finding a yourprivateproxy discount. The ordering process for these gsa proxies is straightforward and simple. Just choose the right plan from the nine available options, add it to your online shopping cart and make a secure payment through PayPal. After you’ve received payment confirmation, your account is activated and you can begin using your proxies within five minutes. With SSLPrivateProxy, you’ll learn how to get instagram proxies quickly and easily. If you need a highly anonymous proxy that protects your online identity and allows you to use Instagram in private, this cheap instagram proxy is the ideal solution. With your SSLPrivateProxy discount, you’ll get access to the best dedicated private proxies for SEO, as well as VPNs for complete Internet security and anonymity. Your IP address will be hidden from websites and people who may want to determine your location and ISP information. When you need dedicated private proxies or a cheap instagram proxy, you can count on SSL Private Proxy. At High Proxies, you can get the best private proxies for gsa at a great prices. These are some of the best proxies for Instagram, and they’re ideal proxies for SEO as well. In this High Proxies review, you’ll learn about private, shared, Instagram and Craigslist proxies and how they can help you stay anonymous online. With unlimited bandwidth, fast servers and solid uptime, you won’t have any reason not to use a high proxies promo code. Visit the site to learn more or to buy USA proxy today. You won’t regret it! With Proxy-N-VPN, you’ll find good dedicated proxies as well as a host of other services. The user control panel is set up for simplicity and easy navigation, and once you choose and pay for a package, you’ll be up and running on your premium private high anonymous proxies within minutes. This is one of the best SEO proxies because it comes with unlimited bandwidth, a 99.99% uptime guarantee and always-on customer support. Whether you’re looking for shared proxies or rotating proxies, you can get the best service at a fair price by using a Proxy-N-VPN promo code. Check out this Proxy-N-VPN review for more details or to make a purchase. With Best Proxy and VPN, it’s easy to buy proxies for SEO and other purposes. Because you can buy proxies with static IPs, you’ll be able to keep the same IP address or change it with each payment term. This premium private proxy service has SOCKS and HTTP proxies available in 23 countries and 60+ cities, which makes it an ideal choice no matter where you are in the world. This is one of the best proxies because the purchase is completely risk-free; the first three proxies you set up will be refunded, no questions asked, within 72 hours upon request. While the prices are already great, you can save even more with a bestproxyandvpn coupon. To sign up or to learn more, visit this bestproxyandvpn page. If you’re looking to create bulk social media accounts for SEO purposes, Poweruphosting Proxies makes it easy. These cheap dedicated proxies and semi-dedicated proxies from United States, as well as Europe proxies, make it easier for social media marketers and site owners to create multiple accounts and check SEO rankings without suffering Google penalties. Whether you’re looking for EU proxies or cheap shared proxies, Power Up can help you connect to LinkedIn, YouTube, Google, Instagram and Facebook 100% anonymously. Visit my power up hosting review page for more details. At Power Up Hosting, they make it easy to establish a social media presence without all the tracking that comes with it! If you need to buy affordable private proxies, Proxy Hub is the place to be. Choose from dedicated private proxies or semi-dedicated private proxies, and you can buy them in packages of 10, 20, 30, 40, 50 or 100 for a low monthly fee. All packages of quality private proxies come with features such as unlimited bandwidth, non-sequential IPs, replacement of dead Europe proxies and private proxies in USA, as well as live chat and email support. These proxy packs are very affordable, but you can save even more by applying a proxy hub discount. Whether you’re a heavy-duty marketer, you’re trying to set up bulk social media accounts or you’re doing other SEO chores, you’ll need some fast private proxies to get the job done. With a premium squid proxy package, you’ll be able to take advantage of all the benefits of working with the fastest private proxy service provider. 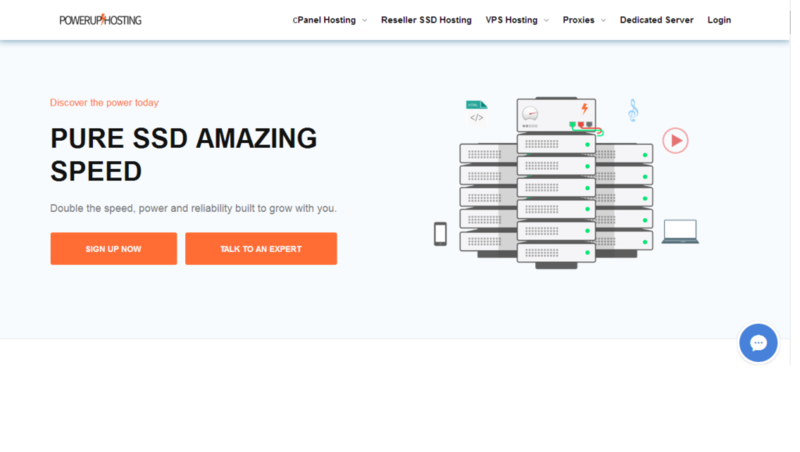 This is a popular private proxy service because you get non-sequential IPs, ultra-fast servers, unlimited bandwidth, no ads and guaranteed access to your squid dedicated proxies. You get all these advantages at a super-low price, and you can save even more if you use a squidproxies coupon. To find out more about this proxy service, visit this squid proxies review. When you need private USA proxies, HTTP proxies, HTTPS proxies and SOCKS proxies, look no further than Blazing SEO. They have the best proxies for SEO, social media account creation, and more. Buy private proxies for SEO and other online tasks and save with a blazingseollc coupon. These are some of the best proxies available, and your SEO efforts are sure to benefit from these elite dedicated private proxies. To learn more about these blazing SEO proxies, visit this blazingseollc review. Buy some blazing proxies today! If you need a private proxy to hide your IP address and protect your online privacy, ezProxies can help. These highly anonymous proxies and the best shared proxies are available at great prices with an ezproxies promo code, and the team can customize your order to meet your needs. With 99.99% uptime and fast servers, these are some of the best USA proxies available today. To buy private proxies, elite private proxies or private proxies in UK, or to find out more, visit this ezproxies review page. Anonymous browsing has many uses—you can download torrents, create bulk social media accounts, build backlinks from various IPs and a lot more. With New IP Now, you’ll get private IPs, premium HTTP private proxies and IPs in multiple locations. Not only do you get unlimited bandwidth proxies, you can get private proxies from multiple locations as well. With New IP Now, you’re guaranteed to get a secure experience that’s compatible with every website. To learn more about the best web proxies available, read this newipnow review. Reliable private proxies make it easier for marketers to do their jobs, and ProxyKey has the top USA Proxies of any vendor. Not only can you buy private proxies from the United States, you can buy global proxies from many countries as well. Buy the best global proxies in packs of 1, 10, 100 or 250, or contact the support team to customize a package. This proxy provider provides a one-stop private proxy solution for online marketers in all niches. To learn more about this private proxy service provider, be sure to check out a proxykey review. The most important part of SEO is to ensure that you continue to track the results of all of your efforts. Using the best private proxies for scrapebox can make the process easier, especially if you’re scraping data. While it’s not technically illegal, scraping may get your original IPs banned if you perform it without a private proxy. Keep checking back for more information on proxy services, as well as recommendations for the best private proxies! The post Best Private Proxy Providers appeared first on immozie.com. You can generate fresh, qualified leads from wherever (and whenever) you pleaseYou can end rejection forever by only talking to people who are highly interested in your offerYou don’t need to drive long hours, your startup costs are low, and your business works for you 24/7—without you ever having to pick up the phone! Master the unknown.Learn how to overcome adversity (and not be a weenie).Learn to overcome peer pressure. You’re always posting.You’re always engaging.You’re always interacting with people. Social media analytics tools are not just for major corporations. Bloggers need to measure their social media influence using a social media analytics tool as well. A good social media marketing campaign consists of more than just posting your articles on social media. You will need to engage with the audience by responding to comments and sharing their content for example. Then you’ll need to track your progress and perfect your tactics. Promoting your content effectively on social media can give you a major edge over your competitors. Why? It is believed that Google gives extra weight to urls that have been well received on social media. It makes logical sense that Google would favor blog posts with many shares or retweets. If people are “voting” for an article that much, it must be good. It’s even better if influencers in your niche are sharing it with their followers. It gives your article some kind of authority and Google takes note of that. Another reason social media is so important is because of the sheer amount of a traffic you can get. Just one article going viral can lead to thousands of visits. It’s then up to you to sell something or get them to join your mailing list. In all likelihood, you already use an analytics tool like Google Analytics to gain insight into your website’s performance and the behaviors of your visitors. However, there is one major difference. 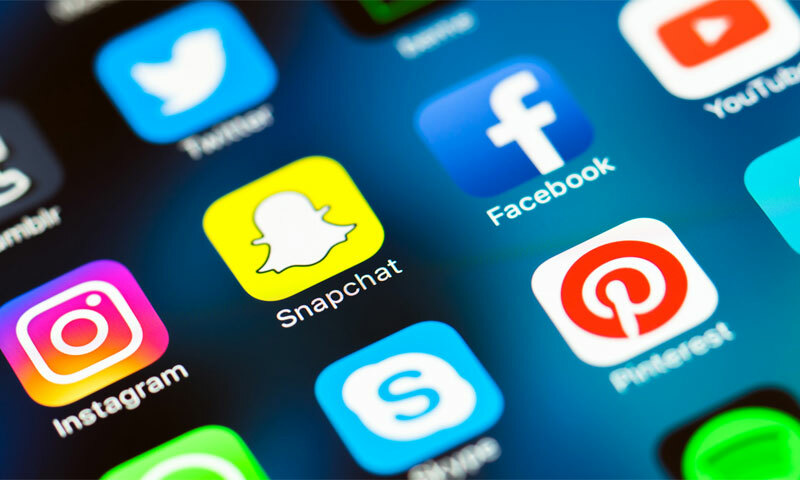 As the name implies, a social media analytics tool is specifically designed for the most popular social media networks, including Pinterest, Facebook, YouTube, Instagram, and Twitter. It can provide you with valuable information associated with all of your social media accounts in a sleek, easy to understand package in one centralized location. Whether you’re writing on your blog or composing a small tweet, you should understand the importance of your content. The quality of your content will play a major role in determining how successful your social media campaign is. 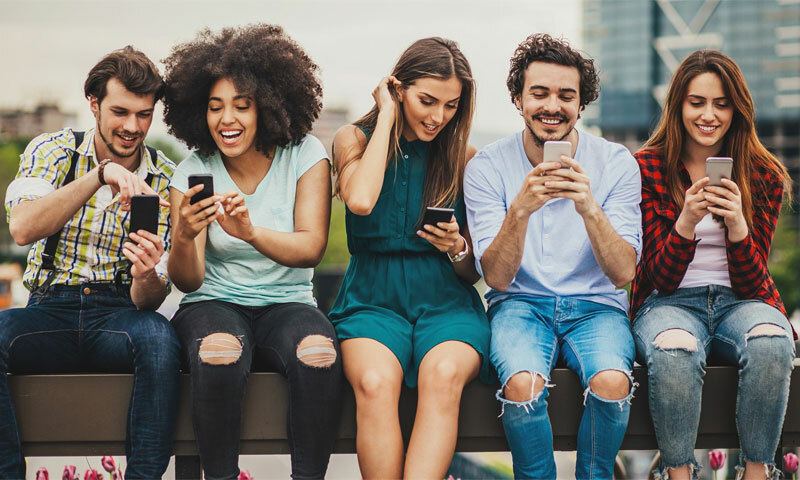 Weak, unattractive content will be ignored by the masses, while eye-catching content will encourage engagement and will be much more likely to spread like wildfire. This is where a good social media analytics tool will prove to be exceptionally helpful. Such tools give you the ability to quickly gauge the effectiveness of your content, regardless of its form. How much attention did your photograph receive? Was your link shared and visited by a large number of individuals? By accessing the tool’s dashboard, you will be able to find out immediately. And, this will help you set up the most effective social media campaign by only using content that will be engaging. 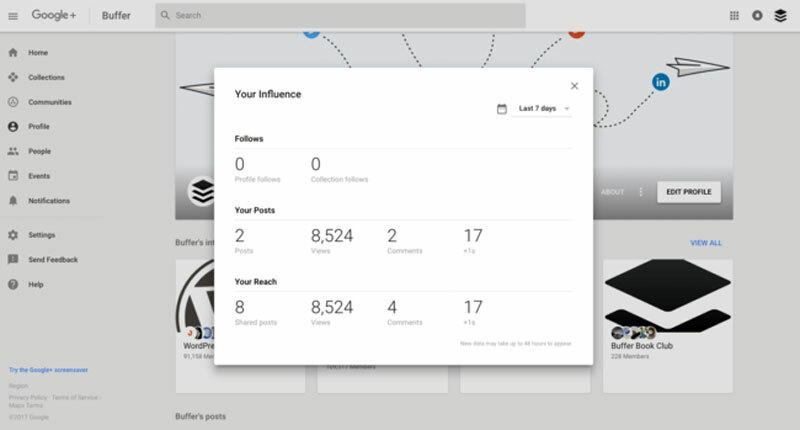 The major social networks already have a dashboard to view your stats. Sure, you can use them, since you already have an account there. However, it’s much better to have a centralized location where you can access all of your stats in one place. Accessing Twitter analytics is simple enough, just go to: https://analytics.twitter.com/. From there, you can see how well your tweets have performed over time. You can see things such as retweets, mentions and clicks out to your links. 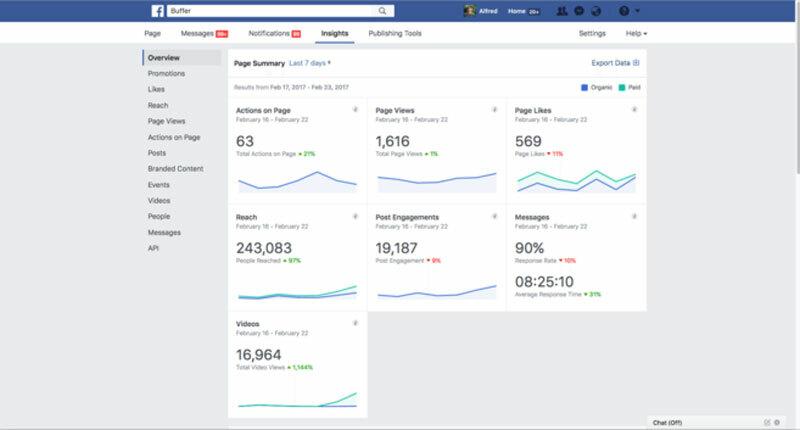 When you create a page on Facebook, you automatically get access to Facebook Insights. 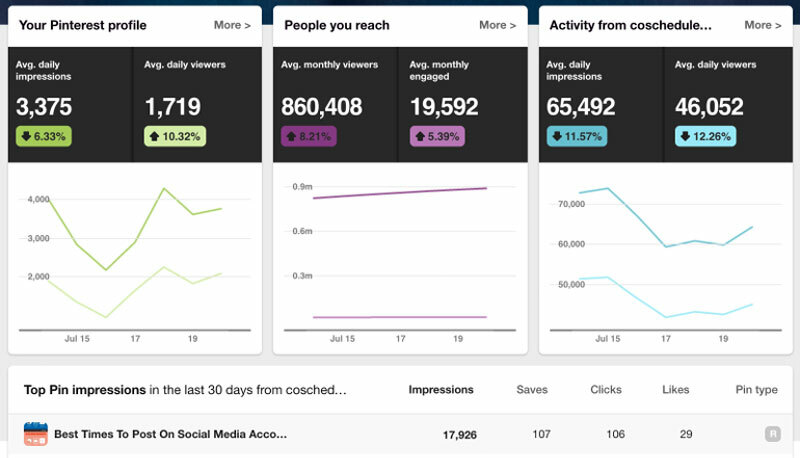 From here you can see stats on individual posts, your fan count and your reach. In order to use their own analytics dashboard, you first have to convert your page from a personal account into a business account. Don’t worry, it’s free and only increases functionality. 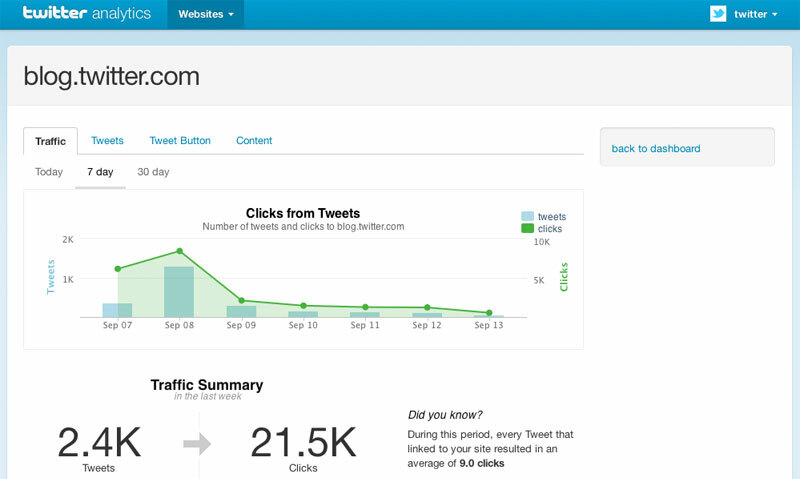 The dashboard shows you insights such as pin impressions and repin data. Plus there’s information on your profile such as the average daily impressions your Pinterest profile receives over time. By analyzing this information you can see which pins perform best. This will give you an idea on what type of images work best with Pinterest and what types of content resonate best with your audience. 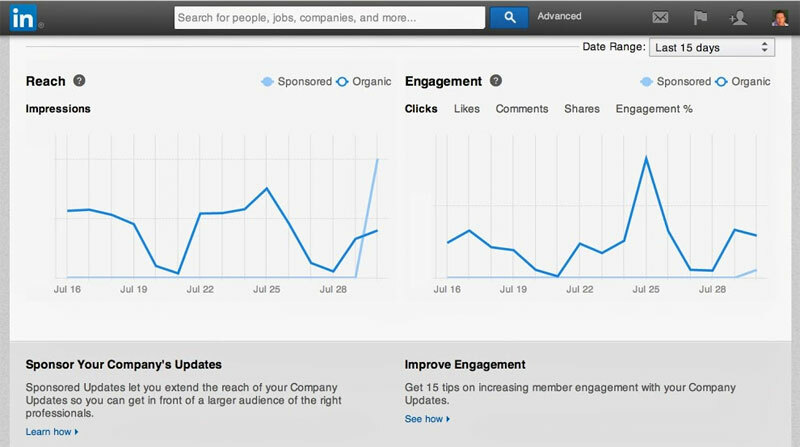 The data that LinkedIn provides is similar to that of Facebook Insights. There’s information over the posts you publish as well as your profile visits. You can see things like engagement, which includes clicks, likes, comments and share counts. 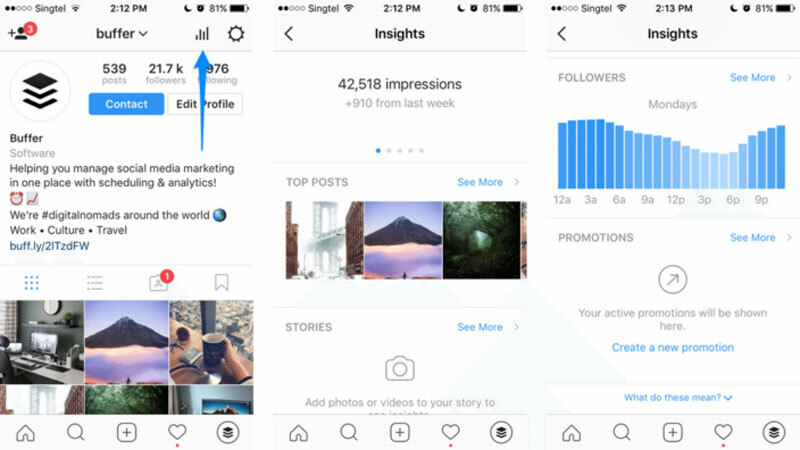 You’ll have access to Instagram Insights with a business profile on Instagram. In order to convert your IG profile into a business one, use the app to visit your profile, then click on the graph icon that’s located in the upper right hand corner. From within this analytics tool you’ll see all of the data of your profile including post data and stories data. Plus you’ll see information on your followers such as which days and times they are most active. The analytics offered by Google+ is the weakest of them all. They only offer basic insights such as how many views and comments your posts have attained. There are plenty of free and paid options, but for now we’re going to stick with the free ones. Almost all of these have an option to upgrade your account to gain more functionality. However, for a new blogger, the free programs are all you need. Buffer aims to make managing social media easier by not only giving you access to the performance of your accounts, but Buffer also lets you schedule posts as well. 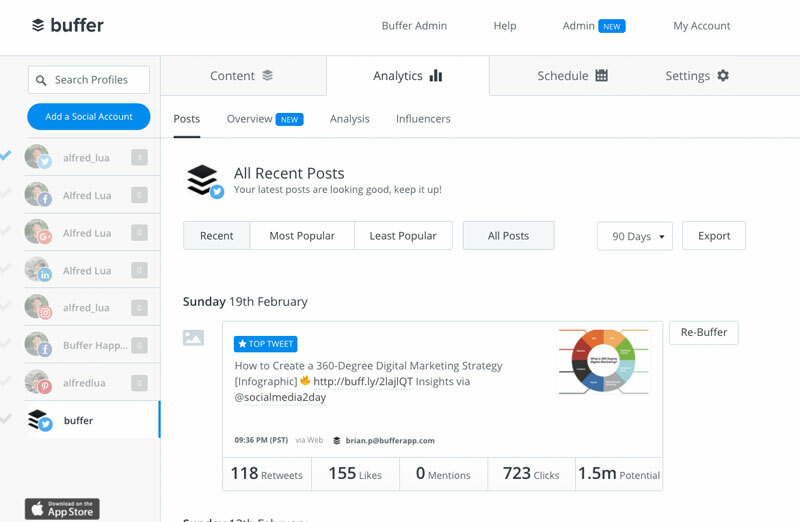 By creating a schedule on Buffer, you can automate your social media posts and track them at the same time. With the free plan, you get 1 social account per network: Twitter, Facebook, LinkedIn, Instagram and Google+ (no Pinterest on the free plan). You can schedule only up to 10 posts total in advance. Their cheapest plan is a reasonable $10 per month and with that, you get 10 social media accounts and you can schedule up to 100 posts in advance. The reason I prefer Buffer as my favorite social media analytics tool is because they are integrated into every part of my digital life. They have a browser extension, an app and of course their website where I can manage my scheduled content. Then, I can also track how well each post performs and see how many clicks I receive. With campaign tracking enabled in Buffer, I can then see how much traffic Buffer has helped me generated right from my Google Analytics dashboard. With Cyfe, you can add different social media profiles to your main Cyfe dashboard. 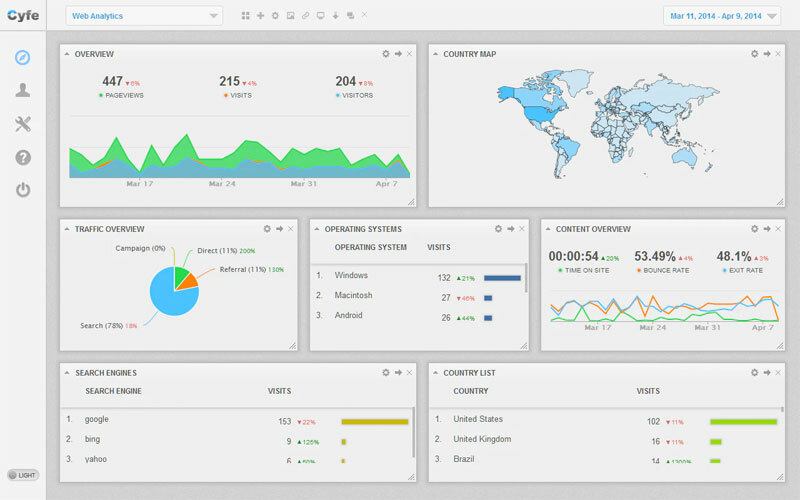 The main benefit of Cyfe is their dashboard display so you can see all of your stats at a glance. After connecting your accounts, you’ll see a beautiful display of graphs that show you how you are trending on all your accounts. With the free account, you can add 5 profiles. With a paid account, you can have multiple dashboards, each with as many insights as you wish. This way, you can have an entire dashboard page devoted to Facebook, for example, showing different widgets so you can gain a better understanding of how well you’re performing with that network. It costs $19 per month to upgrade, so it’s best to try it out at first before you commit to the monthly plan. It’s nearly impossible to develop a powerful presence on any social media network without knowledge into what makes users tick. If you intend to use social media to elevate your site, you need data and the best way to get it is from a social media analytics tool. 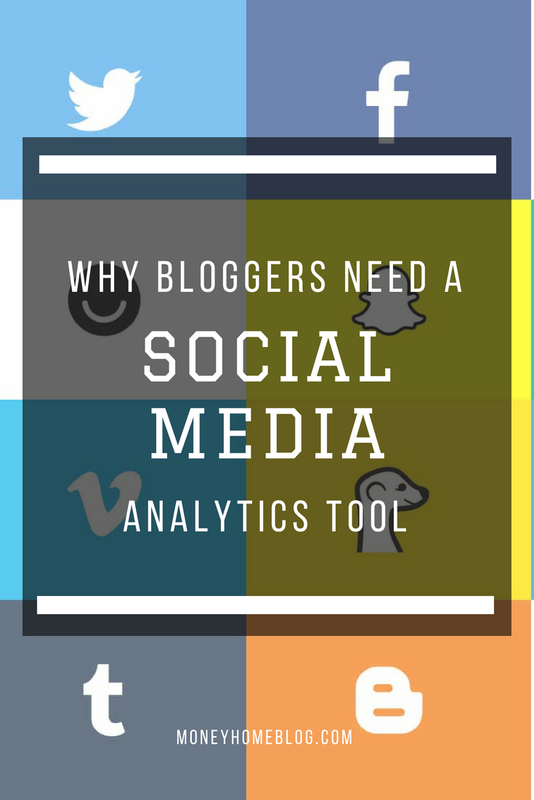 The post Why Bloggers Need A Social Media Analytics Tool appeared first on Money Home Blog.